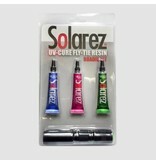 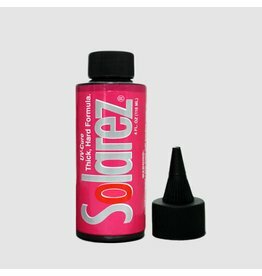 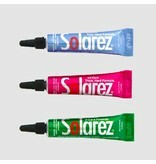 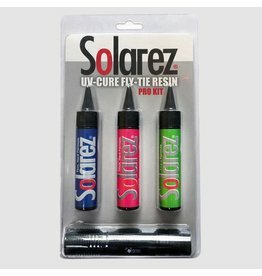 All three of Solarez fly-tie UV resins; Thin-Hard, Thick-Hard, & FLEX formulas. 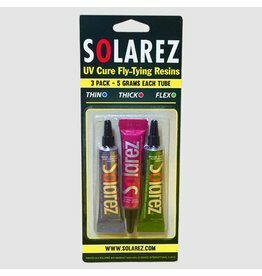 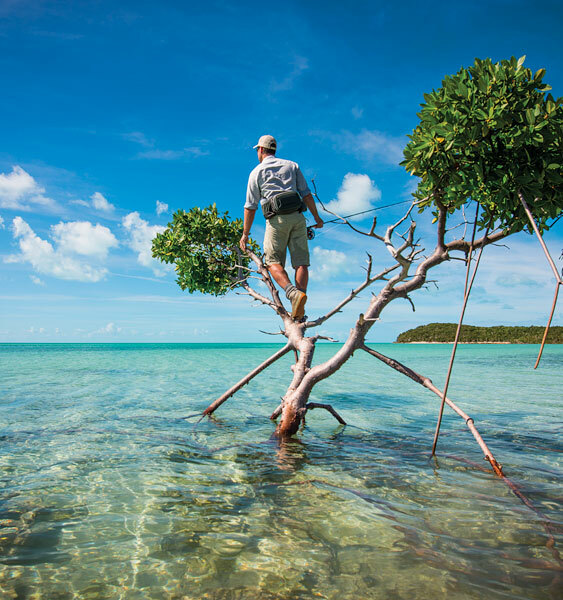 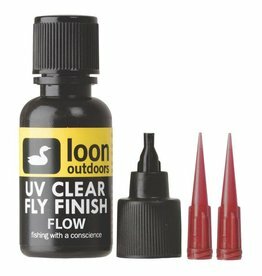 Each comes in a 5-gram tube (1/10 oz) with applicator tip – ample for many flies. 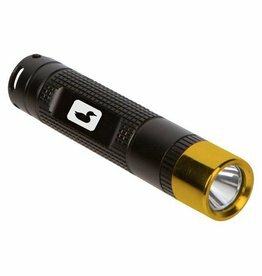 Also included is a small but very high-output flashlight with optimal wavelength. 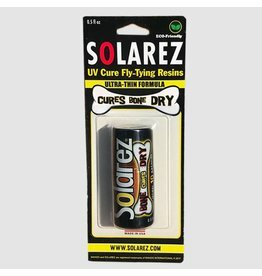 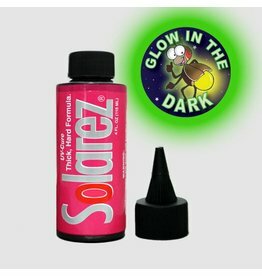 PRODUCT TIP: Apply all UV curable products in full shade or indoors, flash with Solarez UV Flashlight for 30 secs, continue working on fly. 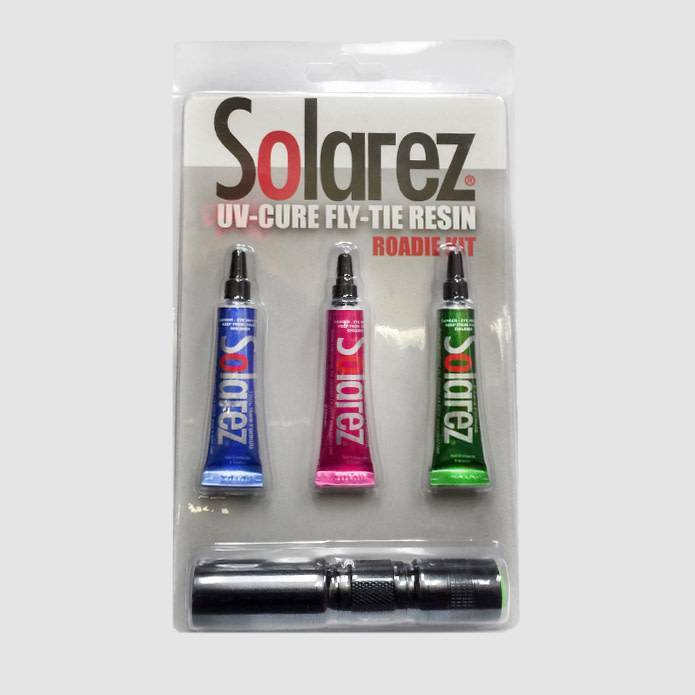 To completely cure resin, expose to sunlight or use flashlight for about 3 minutes.